As we have closed out another great season at our Cape Cod Bed and Breakfast, I am contemplating what wines to serve our guest during the 2011 season. 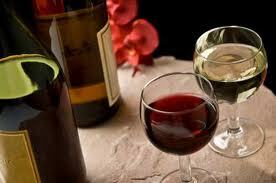 As you know, a major part of my job at the Inn is to select the wines. I enjoy the search and, at times, Jan thinks I spend too much of my time thinking about, looking for, and tasting the next wine. With our busy time behind us, now is the perfect time to reflect on the wines we have tasted this year. If you followed my blog last year, I covered a lot of ground from casual Wine Patio in the Inn’s backyard to more formal weekly tastings sponsored by Cellar 55 Wine Merchants and the Belfry Bistro. I have not added it up, but I have tasted and blogged about 100s of wines this past year, some memorable and some not so memorable. Sometime the wines are quickly forgotten, but I still recall warmly the time spent and laughter shared with friends as we enjoyed the moment together, as much or more than the wine. For me, wine has always meant good times with good friends. In October, I was invited to a wine tasting that demonstrates how wines and the love of wines can bind a friendship. Our host was sharing wines from the cellar of his long time wine drinking friend, Frank, whose recent medical complications no longer allowed him to drink wine. He gave his ‘cellar’ to Ev because he knew he would enjoy it, and Ev was gracious enough to invite us to share because he knew we would appreciate the gift. In August, 2010, I blogged about a ‘Best Bottle’ night, also hosted by Anne and Ev, where I experience some of the finest wines I have every tasted. For this FOF (‘Friends of Frank’) tasting, Ev organized the 22 wines from white to red, from lightest to heaviest, and from youngest to oldest. It took two pictures to capture the wine line up. To fortify ourselves for the challenge, we ordered pizza from Amari’s. Frank had an eclectic collection, mostly from the 1990s and early 2000s, with some early 1980s French to round out the assortment. 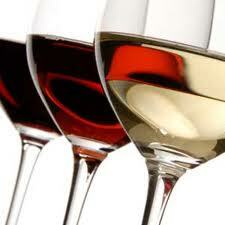 We attacked our task with vigor; the eleven of us assembled FOFs shared a small taste of each of the wines. As we started with the only two whites, Ev got Frank on the speakerphone for a toast of thanks for the bounties we were about to enjoy. When the pizza arrived, we moved to the dinning room to complement our food with numerous reds. We quickly worked our way through several adequate California Merlots, a French Merlot, and a nice Rioja. Some wines were not meant to age, as we discovered with the 2003 South African novelty wine, Goats do Roam. The only ‘goat’ of the evening was soon followed by a pleasant surprise. At the halfway mark, our eleventh wine was an excellent Columbia Crest Reserve, 2002 Reserve Syrah, Columbia Valley. We all would have liked to have more than the small taste of this wine; it would be well worth the effort to locate some of this, if any is still available. Columbia Crest is a great Washington winery that makes affordable wine that obviously can stand the test of time. The group was starting to fade - even very small tastes of a lot of wines add up- but we forged ahead through another five wines. 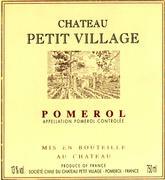 We went out of order to assure we reached the 1983 Chateau Petit Village that some of us had been eyeing all night. 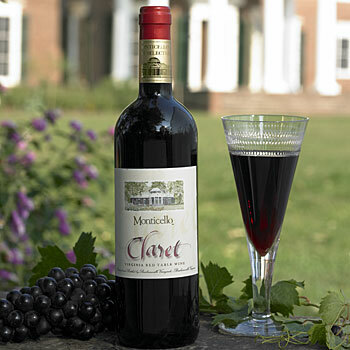 This twenty-seven year old Bordeaux wine from the appellation Pomerol still held its color and fruit flavors. A real treat to end the evening. After this night of sharing wines, we all consider ourselves FOFs forever. I want to thank Frank for sharing his love of wine, and his wine, with his friends Ev and Anne, who opened their home and hearts to us other wine lovers. This was another night to remember. Even if I did not find the next wine to serve to guest at our Sandwich Bed and Breakfast, I had a great time with great friends. Even though the holidays are over and we are closing for the season, I still need to look for that next great wine to serve guest at our Cape Cod Bed and Breakfast next season. The weekly wine tastings sponsored by Cellar 55 Wine Merchants are on hold since my friends Kris and Dave have gone to the Virgin Islands to run their other business, which provides fine wines to charter yachts for the winter months. Now that sound like tough duty. Even without official wine tastings, I am lucky to have the opportunity to taste interesting wines because I have friends that like to share wine. Over Thanksgiving weekend, our friends Bob and Noreen invited us to dinner and to taste some of their favorite wines. They live in Virginia outside Washington and also have a house here in Sandwich. They stay with us at the Inn when their house by the Bay is rented and they are wine lovers. Bob is always raving about the great Virginia wines he has tasted. I wondered if I could really find wines to serve to my guest from anywhere in the United States, other than the West Coast. I did find a Virginia wine in my Cellar, which I brought to the dinner. 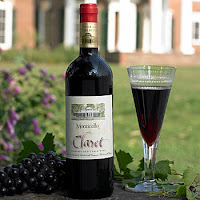 On our travels a few years ago, we stopped at Thomas Jefferson’s home, Monticello, in Charlottesville, VA. Jefferson spent time in France and loved their wines and may have been Americas’ first ‘oenologist’; he personally brought many of the first vines of the French grape verities to his home. I actually saw his restored vineyards on the beautiful grounds of this national park. Maybe it should not surprise me that Jefferson’s 1770s interest in wines has survived and thrived in Virginia. The official state industry wine website lists 191 wineries in nine geographic areas, with six Approved Viticultural Areas (AVA). We started our evening with Bob’s favorite, a 2002 Breaux Vineyards Nebbiolo. He had recently done a multi-year vertical tasting at the Vineyard and felt the 2002s was nearing its peak. I have to agree; it was great and went well with the selected cheeses and nuts. Nebbiolo is a famous Italian grape verity that is obviously doing well in Virginia. The winery is located in Purellville, VA, in the Northern Virginia Region, the region nearest to the Washington, D.C. area. The Vineyard is located in the Central Virginia Region in the specific Monticello AVA. I have marked both of these wineries on my trip maps plus dozens more that need to be visited this year. We finished the evening with a treat from Bob’s cellar, a 2003 Chateau Montelena Zinfandel Napa Valley. This wine stole the show. Chateau Montelena is located in Calistoga, CA at the North end of the Napa Valley. It is famous for winning the historic 1976 Pairs Tasting that established California as a source of world-class wines. On a personal note, we learned that Noreen had dated a nephew of Jim Barrett, the founder of this winery, in the 1980s. She recalled the cases of ‘good’ wine they served at family gatherings. She may have been enjoying some of the award winning 1973 Chardonnay. Oh, what I would give to have some of that wine by the case today. Although I still liked the California Zinfandel best, I have a whole new appreciation for Virginia wines. I will plan our trip this year to include visits to as many of these wineries as possible. We hope to meet up with Bob and Noreen and share more of their favorites at the source.